: LEGENDARY LE CIRQUE AT ONE BEACON COURT HAS CLOSED, BUT IT’S SLATED TO REOPEN IN A DIFFERENT NEW YORK LOCATION IN 2019. Where else but in the Big Apple could there exist a restaurant like the legendary Le Cirque? We give thanks to restaurateur Sirio Maccioni for his relentless effort seasoned with grand style and tenacity. 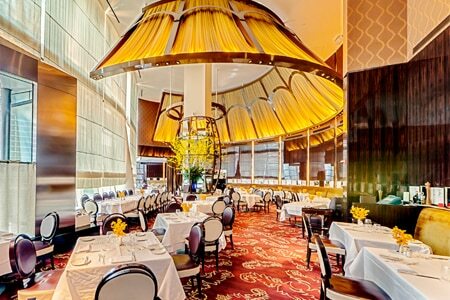 Both Maccioni and Le Cirque are true symbols of New York gastronomy. The third version of this institution consists of a glass-enclosed area on the ground floor of the spectacular glass and steel Bloomberg building. Silk billows from the ceiling, a circle of porcelain monkeys teases, all evocative of the first Le Cirque, features that bear the signature of architect Adam Tihany. This all provides strong motivation for chefs to sharpen their art to situate it at par with such an impressive showcase. Le Cirque is an incubator of culinary talent. Stellar cooks such as Daniel Boulud accomplished their first steps under the benevolent eye of Sirio, gaining celebrity here before swarming this city and the world. The restaurant’s traditional dishes include Dover sole, Prime strip steak prepared au poivre or grilled and the paupiette of black bass, all of which are based on the quality of the product and do not tolerate anything other than a perfect execution. An additional option has been a rack and epigram of lamb. They are all handsomely presented. Historical crème brûlée is there, of course, for dessert. The wine cellar under the direction of sommelier Paul Altuna, viewed through its 30-foot glass wall, holds more than 2,000 bottles. Among them Paul guided us to a lovely and reasonably priced Côtes-de-Nuit Villages of Sylvain Loichet. 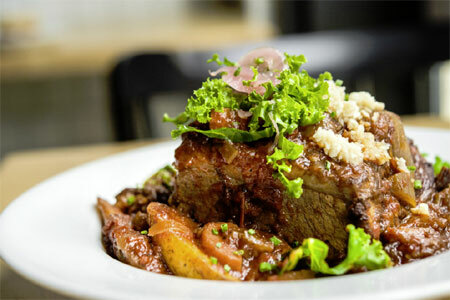 The relocated Sirio Ristorante operates within the premises offering straight-up Italian fare.